Welcome to Day 3 of 31 Days of Getting Organized By Using What You Have. 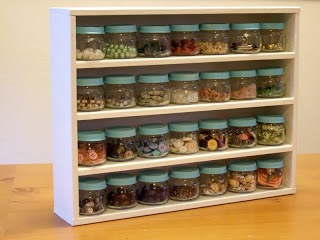 I’m going to continue my love of organizing with jars and bring it into the craft room. 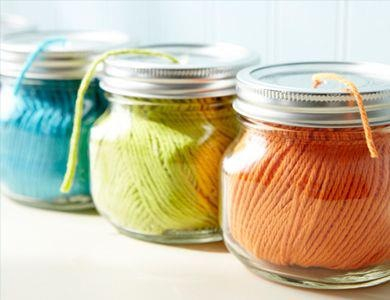 Jars of all sizes are perfect to hold little items that can be found in the craft room. And because they’re clear it makes it easy to find what you need. 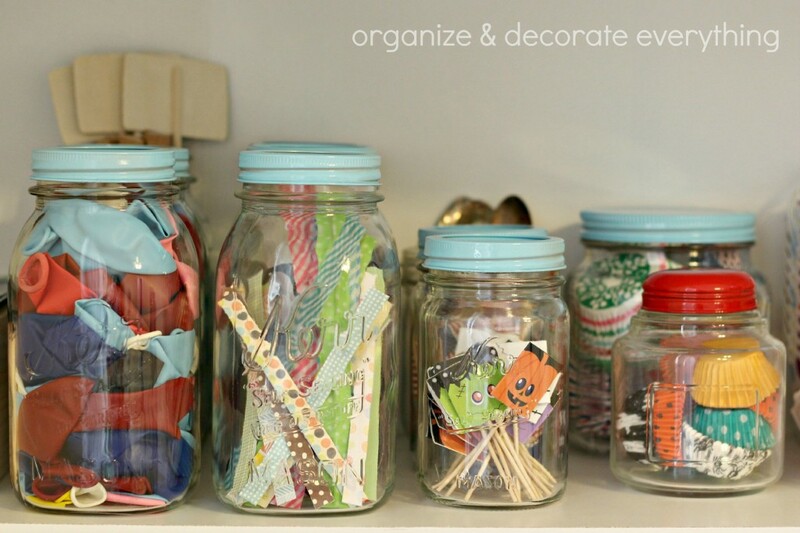 Ask your friends and neighbors to save baby food jars for you. 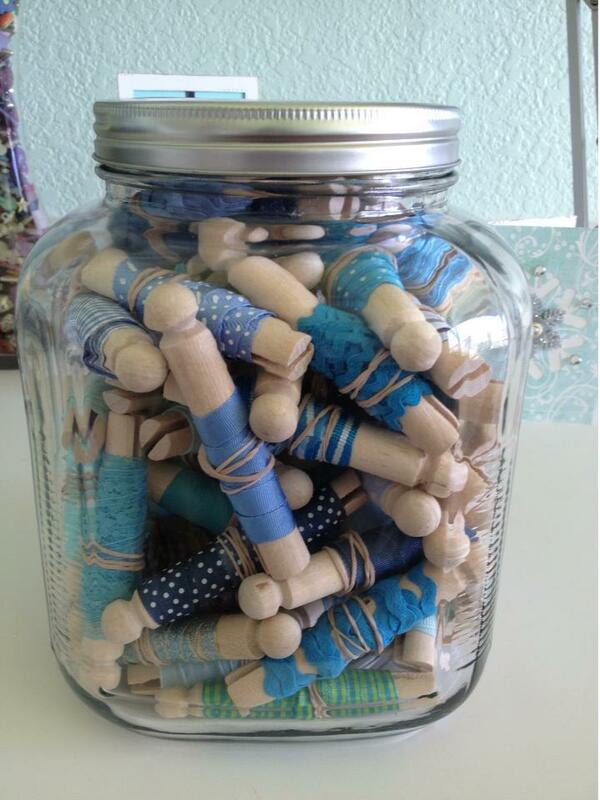 They’re perfect for buttons, beads, small pieces of trim, embellishments and so forth. I was lucky to get these jars that were left over from a project and the vendor didn’t want to take them home. It never hurts to ask for something especially if they’re probably going to get tossed anyway. 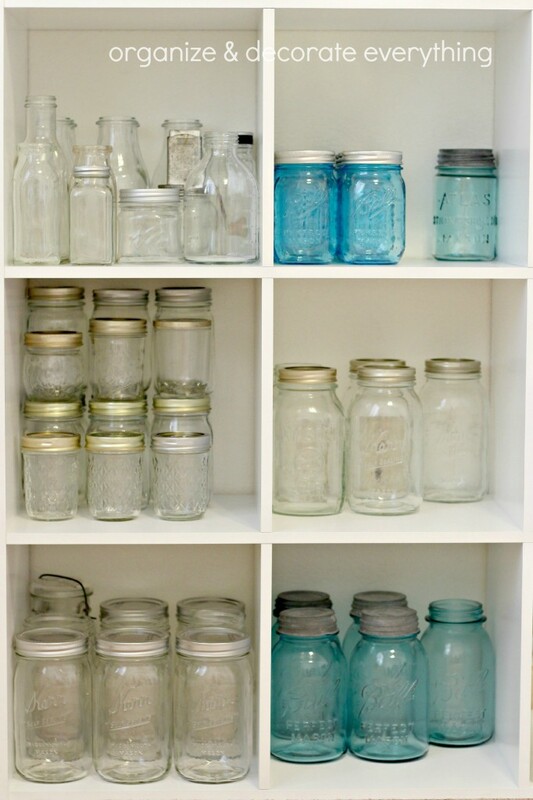 I just can’t get over how pretty everything looks in glass jars, although jars full of crafty things always look pretty to me. 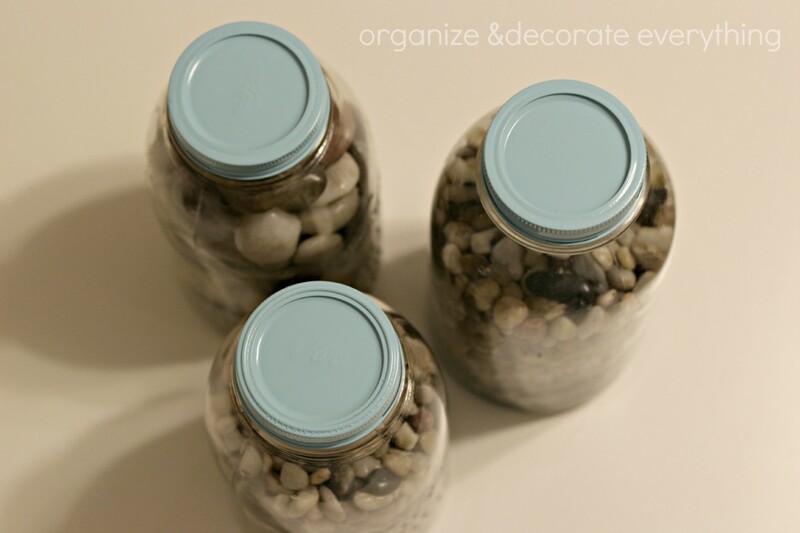 If you want to add a little color to the jars, spray paint the lids. I chose aqua to match my craft room. I left one lid red to add some contrast. Since these jars were used for canning so they had dates written on the lids. The paint hid the dates and made them pretty and ready for display. 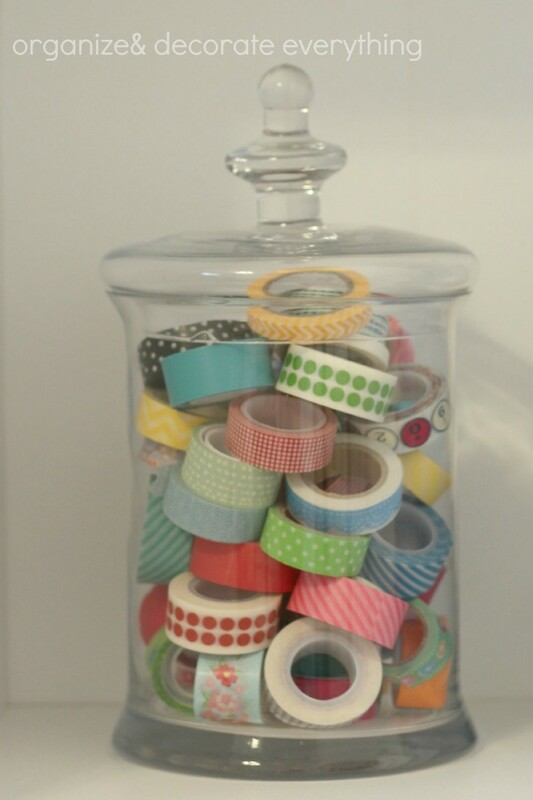 A lovely jar of washi tape! 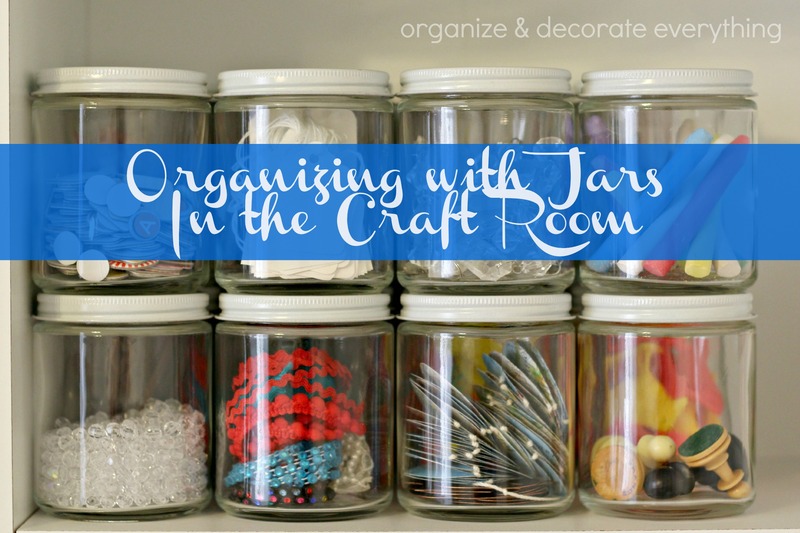 I’m just getting my craft room/decorating storage room organized since moving. 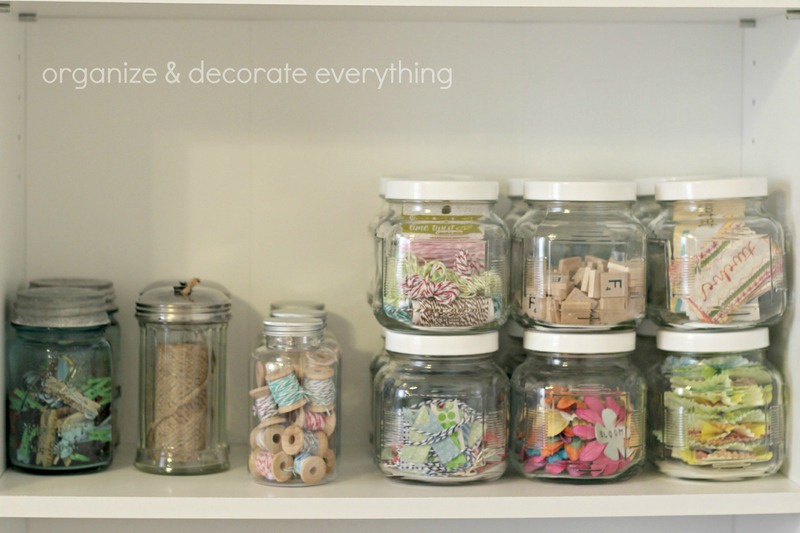 I like using jars for organizing and decorating so I keep a good selection on hand. I love getting homemade jam or salsa from friends for the jars almost as much as the food. 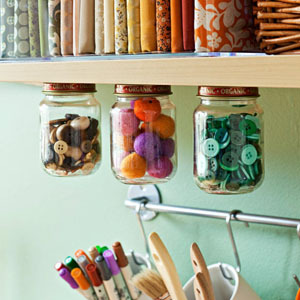 What little crafting supplies do you have floating around that can be contained in a jar or two? And come back in a few hours for a delicious recipe from my Food Contributor! 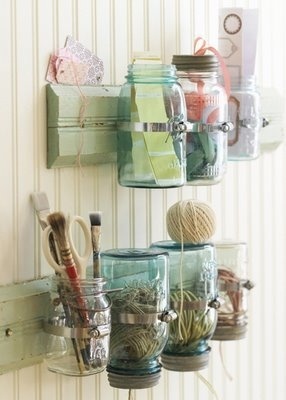 I just love jars! I wish I had your collection!! I don’t think I ever told you that I love your new blog design. It is darling and so clean. I miss your cute face!